Never before available, these recordings have been carefully restored and edited from composer Barry Gray’s own archive courtesy of The Barry Gray Estate and Carlton International. Created after Thunderbirds, technological advances at the time allowed for more realistic puppets than previous Anderson shows. 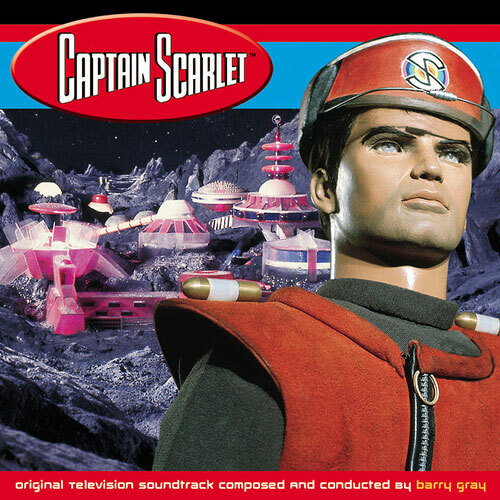 With this advancement, a far darker story line and score was developed for the adventures of Agent Number One, Captain Scarlet and Spectrum in their battle against the invisible enemy from Mars – The Mysterons. Recorded over 11 sessions between March 16th and December 3rd in 1967, the score follows dark storylines, featuring the heroic and indestructible Captain Scarlet plus a supporting cast of colour-coded action heroes, sinister zombies and all-female team of fighter plane pilots.